The book Tuck Everlasting is about a girl named Winnie, One day Winnie goes into her family's forest. While she is in the forest she discovers a tree with water coming out, like a little spring. She is thirsty and as she is about to take a drink of it a boy comes and stops her right then and there. He tells her to not drink it because it will change her life forever...but not in a good way. 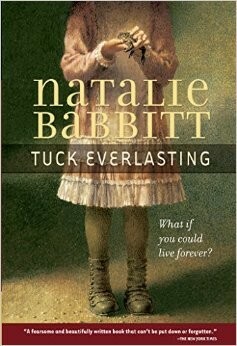 Read Tuck Everlasting to find out more!